Congratulations to Michael and Jackie! 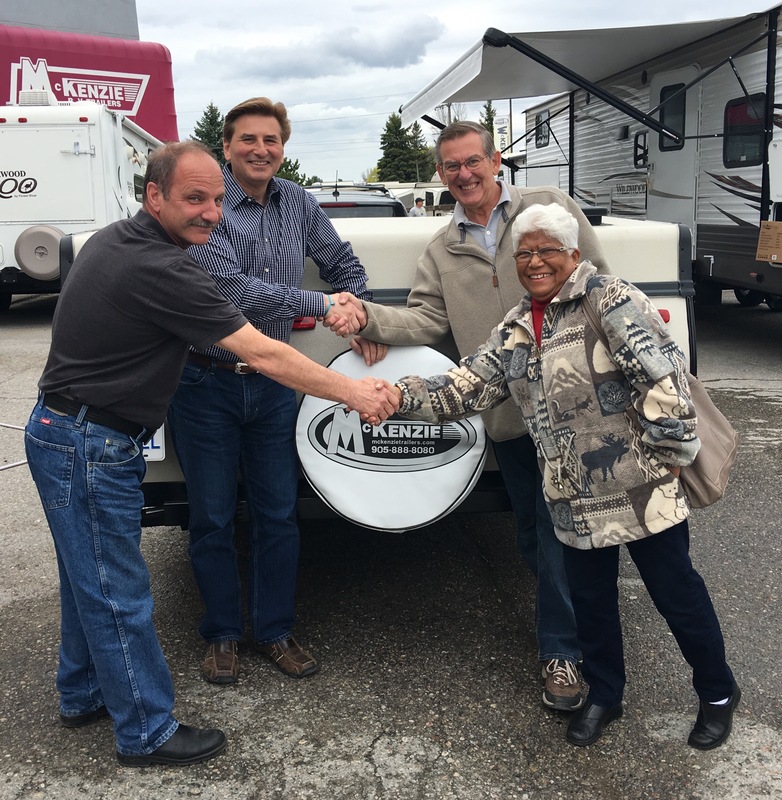 They are the 2017 winners of the Canadian Recreational Vehicle Associations $5000 draw towards their RV purchase at this year's Toronto Camping & RV Show. THE WINNERS are pictured below along with Peter Hornov and John Smith from Mckenzie RV Trailers in Stouffville, Ontario. Way to go Michael & Jackie! Enjoy your 2017 RV season and we will see you at our next RV Show.